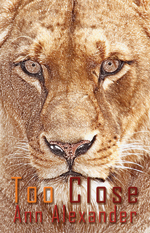 Too Close is Ann Alexander's third collection of poetry and the first from Ward Wood. She has won various prizes, including first prize in the Frogmore, Mslexia, and Bedford Open competitions, and third prize from Peterloo and in the BBC's Poem for Britain competition. Several prize-winning poems appear in Too Close, including the title poem (Mslexia, 2007). Black humour, uncomfortable honesty and a reluctance to take the world at face value make these poems a pleasure to read. Ann Alexander lives in West Cornwall, and many of these poems reflect on the nature of life at the very edge of Britain. Before moving westward, she worked as an advertising copywriter in London, and uses the copywriter's spare, accessible language in this entertaining, thought-provoking collection. Ann Alexander narrowly avoided the Second World War by being born in bombed-out Coventry in 1946, during the coldest winter on record. She worked as an advertising copywriter in London for many years before absconding to Cornwall, where she now lives. She has published two previous collections of poetry (Facing Demons, Peterloo Poets, 2002 and Nasty, British & Short, Peterloo Poets, 2007). She took first prize in the Frogmore, Bedford Open, and Mslexia competitions, came 3rd in the BBC’s poem for Britain (2003) and 3rd in the Peterloo poetry competition. Her work has appeared in several anthologies, on various websites including BBC2 , in a wide range of poetry magazines and on Radio 4. She is married and has one daughter.